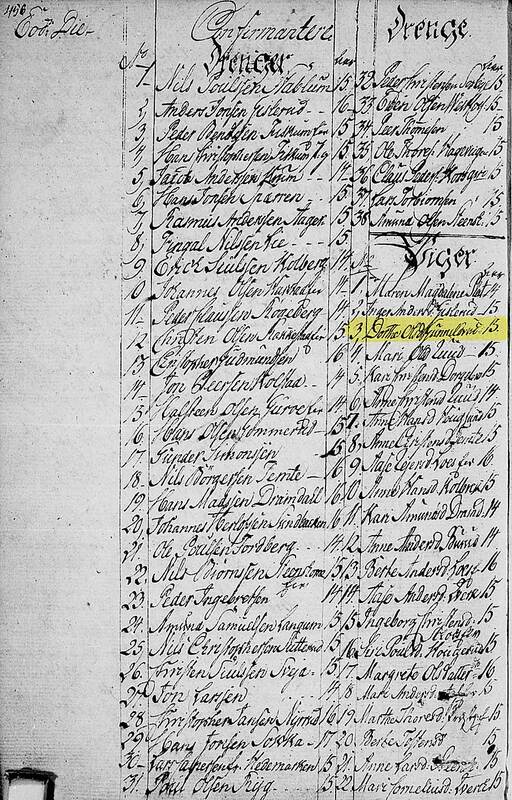 Christen had brought in 3 children from his first marriage to a woman named Aase Olsdatter who had passed away in 1817. 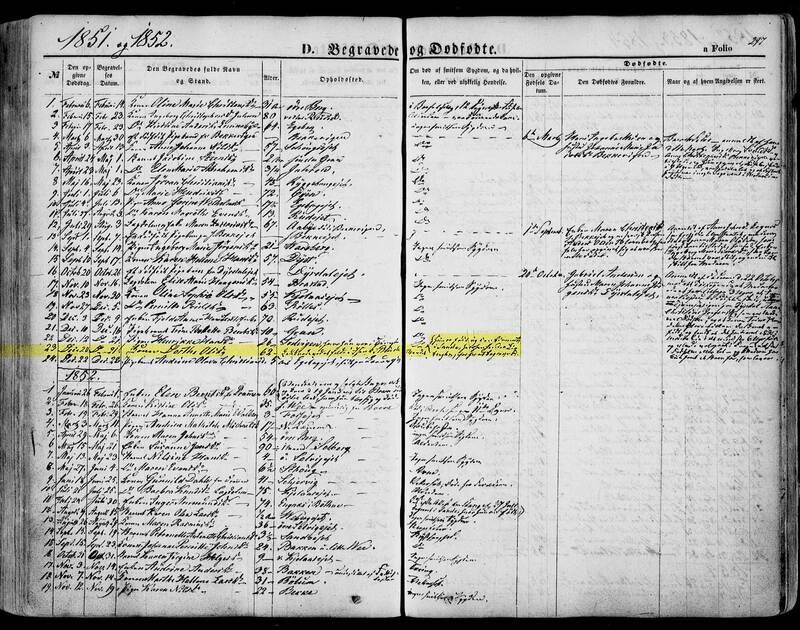 Those children were 3 daughters: Gurine, born 1811, Ingeborg, born 1814 and Olia, born 1817. JOHANNE MARIA , born 30 Jun 1825 at Gravningen Farm in Sande. SponsorsB: Dorthe Halvorsdatter Donnerrud, Birthe Andersdatter Hertzgården, Ole Johnsen Stokke-eiet, Anders Bertelsen Tangen and Thore Thoresen.17 Johanne was confirmed 1840.18 She has since had the farm Kvisle in Sande added to her name. KAREN OLAVA, born 21 Nov 1833C at Orhus farm in Sande. She was baptized at home, which normally occurred when there was a fear the child might not make it to and died before age of confirmation.21. We can confirm that this was true for Karen, as she died 11 Dec 1833 at about 3 weeks old. If you're paying close attention, that means that Christen died while Dorthe was roughly 2 months pregnant with Karen. 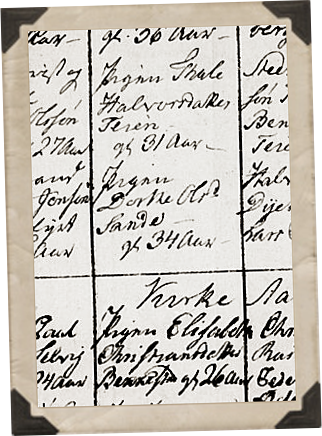 This means that during her pregnancy, Dorthe not only had to deal with burying her husband, but she would also have to settle his debts and his "estate" as the farm would be sold off on 4 Sep 1833 while 7 months pregnant. Dorthe lived through the Napoleonic War which lasted from 1803-1814 and saw the Union of Norway and Sweden in 1814. She was born while smallpox was a constant threat and lived to see the creation of a vaccine that eradicated the threat. She lived through multiple epidemics of cholera and typhoid during a time when Norway's rural areas were at their poorest. Christen Jensen Orebsly, abt 1790 - ? A Øvre Eiker was originally a part of the traditional region of Eiker at the time of Dorthe's birth. 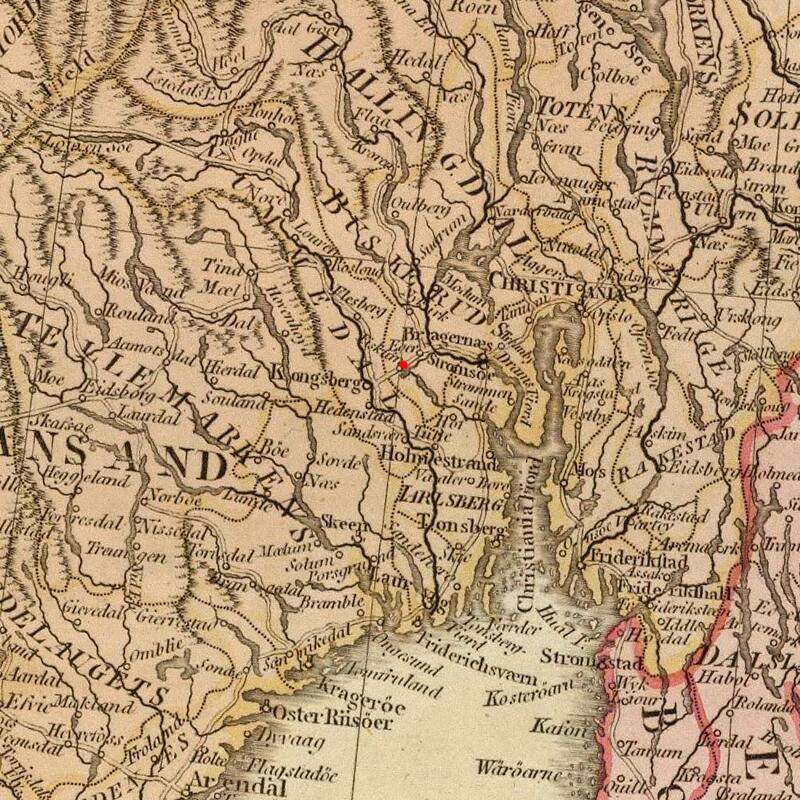 It wasn't until 01 Jul 1885 when Eiker was split into the regions of Øvre Eiker and Nedre Eiker. B Commonly translated as “Godparents” or “Mentors”, sponsors at this time served a similar purpose as they do today, however it was not common to see just 2 names listed. In this case there are 5. 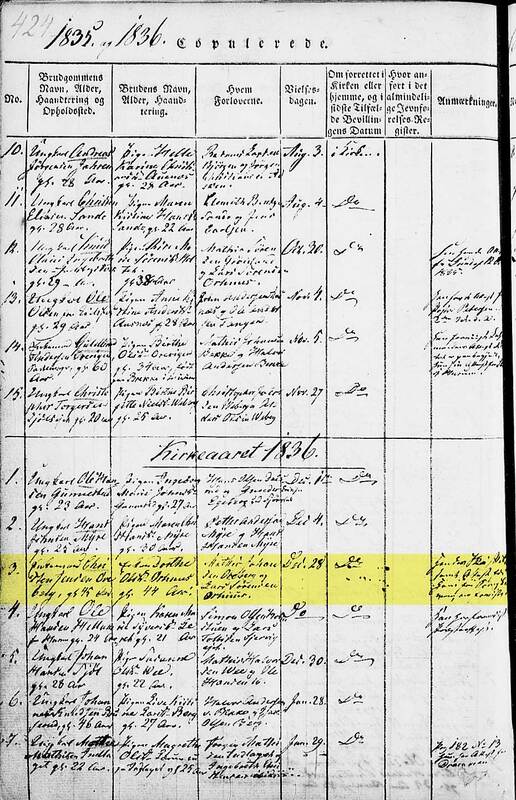 C This date is not confirmed by the local parish register. 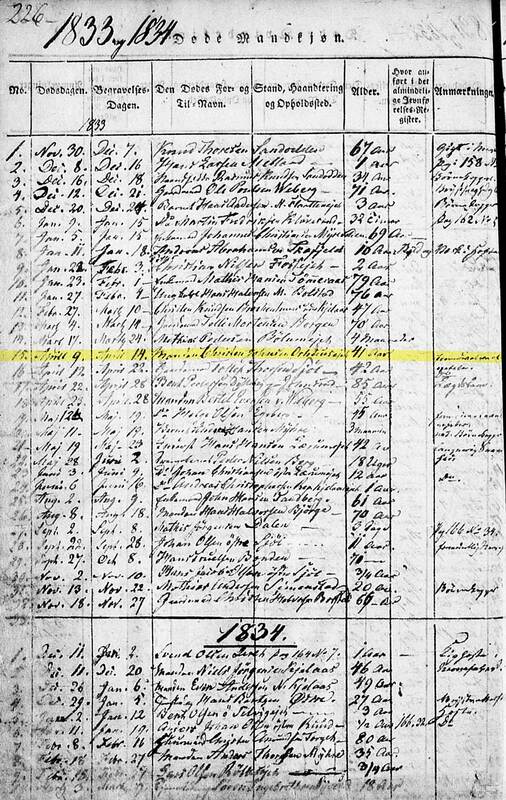 The Church book says she was born 13 NOV 1833 however there is a lot of small writing scribbled in the margins that is illegible to me. 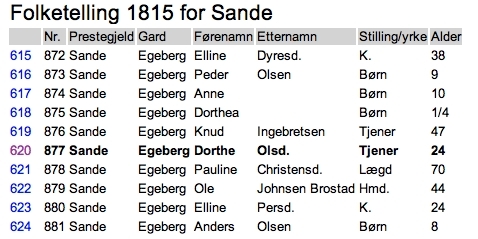 D I did not appropriately document where the note listing the date of Dorthe's migration to Sande came from. 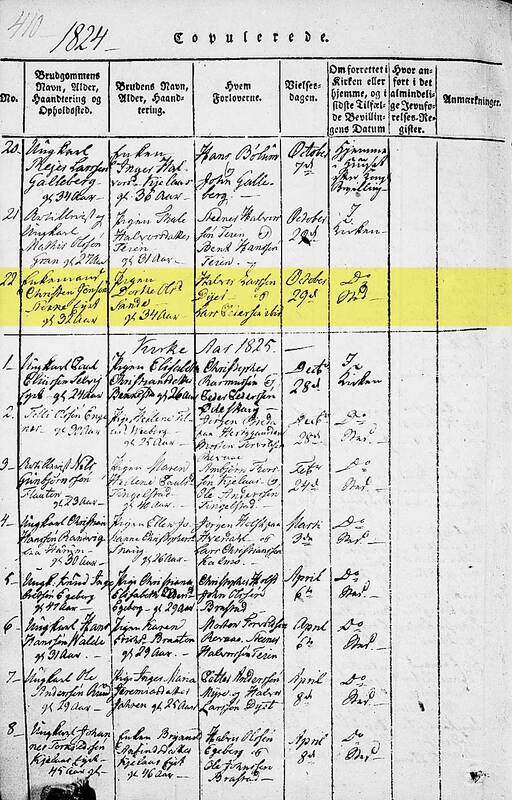 It does appear the general year of 1808 may have come from Sigfred's family book. 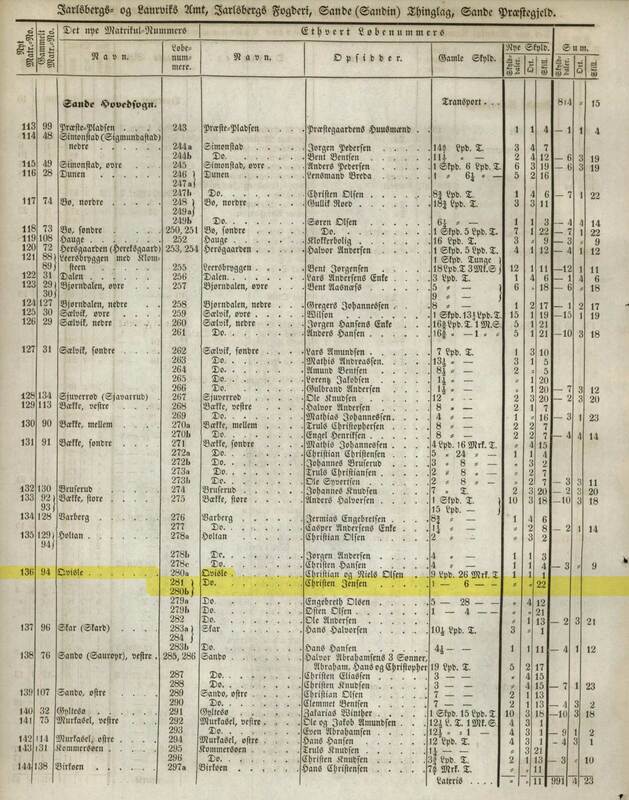 My only reason to doubt this information is that Dorthe's father would die the following year, likely resulting in the selling of Gunhildrud (if they did own it) and considering the state which her mother Mari died was extremely poor, I can see this being the time that Dorthe would be forced to leave home to find work just to survive. That being said, a lingering illness that prevented her father from supporting the family would push her out the home sooner. E A drive to Sande from the area of Gunhildrud Farm in Ovre Eiker is about 40 kilometers. If this distance was walked it would take a full 8 hours on today's paved roads.